Technology behind capturing carbon dioxide emissions and turning them into everyday products — everything from lipstick to concrete — is getting a multi-million dollar boost in a new initiative led by the University of Michigan. Why it matters: These technologies, as far-fetched as they may seem, are technically feasible and are increasingly essential in two ways: addressing climate change and prolonging the use of fossil fuels in a carbon-constrained world. The highlights: The new initiative, called the Global CO2 Initiative, is backed by funds of up to $4.5 million, including from the university itself and others. Other funders range from Praxair, an industrial firm, to KPMG, an auditing company. The initiative aims to cut 10% of the world’s current annual carbon emissions by 2030. The program has created a toolkit allowing users to compare the climate and economic impacts of different technologies in the convoluted, chemistry-driven space of converting CO2 into products. Other components will include research and competitive funding opportunities, according to its backers. One level deeper: The biggest hurdle in commercializing this technology is cost. Focus has long been on simply storing the carbon dioxide, but if it can be turned into a product, the waste product is now sellable. 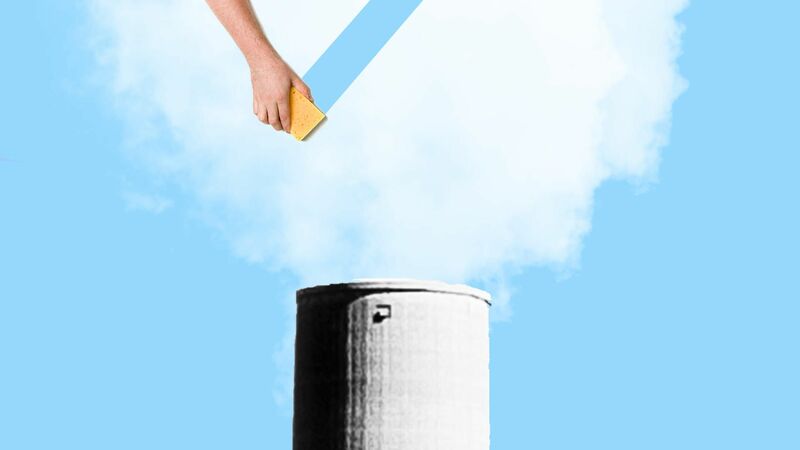 The initiative’s backers hope to lower costs and eventually make captured CO2 a commodity competitive with, say, petrochemicals and other material used in everyday products. Carbon fiber, which could be a lighter weight replacement in cars over aluminum and steel. This is one reason the University of Michigan, in the heart of the auto industry, finds this area intriguing. Petrochemicals, which make diverse products like cosmetics and plastics. Cement and other building materials, which could be game-changers given the sheer amount of cement the world is going to need. Beer (and other carbonated drinks). You may recall when the U.K. was running out of beer because it didn’t have enough CO2 during this year’s World Cup. This wouldn’t make a big difference to climate change given the small volumes at play, but it could help with beer shortages in the future. Yes, but: Technologies in this space aren’t wholly new, and the cost per ton of captured CO2 remains pricey. It can range to under $100 to as much as $800, according to multiple experts and companies in this space. A recently passed federal tax credit could help lower costs. “What’s new about this moment is the sophistication and intentional focus that has been placed on making this a real economic pathway." — Ellen Williams, former top Energy Department official, who's advising the new initiative. What’s next: These technologies are expected to feature prominently at upcoming climate conferences next month in New York and San Francisco, as well as key components of a United Nations' report set for release in October, according to Kate Gordon, a fellow at Columbia University’s Center on Global Energy Strategy.